Benjamin Netanyahu's office said Friday that the Israeli prime minister has returned from a visit to the Gulf state of Oman, where he joined the country's leader in the first meeting of its kind in more than 20 years. The office said in a statement Friday that Netanyahu had been invited by Oman's Sultan Qaboos bin Said after lengthy communications. Israel and Oman do not have diplomatic relations. The meeting was the first between leaders of the two countries since 1996. Former Israeli premier Yitzhak Rabin made a similar surprise visit to Oman two years earlier in 1994. The sultanate has long had a quiet role in fostering negotiations between the Israelis and Palestinians and has openly called for the need for a Palestinian state while also acknowledging a need for an Israeli state. Palestinian President Mahmoud Abbas also paid a three-day visit to Oman earlier this week. "Israel benefits by having a direct link with a member of Arab League, and the Palestinians are benefiting from having the help of Oman reaching out to Israelis without directly conceding anything. It is a win-win move," said Gamal Abdel Gawad, an academic adviser to the Al Ahram Center for Political and Strategic Studies. "The Palestinians are taking a strong position against the Trump administration and Netanyahu and yet they have to talk to the Israelis." While historic, Netanyahu's meeting did not immediately signal a breakthrough in peace efforts because Oman does not have the clout or leverage of nations like Saudi Arabia to strongly advocate for either side or to push them closer to the negotiating table. Netanyahu and his wife were joined on the trip by the head of Mossad, Israel's intelligence agency, his foreign ministry director, and other defense officials. 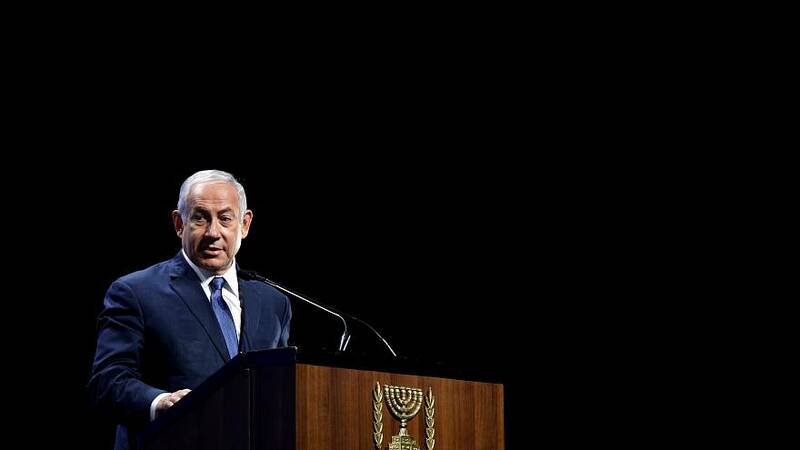 Netanyahu has repeatedly stated in recent years that Israel has developed good relations with several Arab states, despite a lack of official ties. The Israeli prime minister and the Omani sultan issued a joint statement saying the two sides "discussed ways to advance the Middle East peace process and discussed a number of issues of mutual interest to achieve peace and stability in the Middle East." Oman, which sits on the southeastern tip of the Arabian Peninsula, with Saudi Arabia to its north and Iran to its east, has a long record of being a quiet broker in the region, opting to stay on the sidelines of the rivalry between the two regional powerhouses. Although it is a member of the Saudi-led six-nation Gulf Cooperation Council, it did not join the kingdom in its boycott of Qatar or the war in Yemen. Its foreign minister made a rare visit by an Arab official to the West Bank earlier this year.